We all feel touched when we open up a good translation of the meaning of the Quran and we ponder and wonder at the beauty of the words and the deep meanings within. But in reality, we are just seeing a glimpse of the real treasure that the Quran is. Imagine how you’d feel if you could understand the words of Allah in the form in which they were sent down and not just rely on a translation of the meaning in English. Imagine the power of the words and the directness of the message then! The potency would be awesome! Arabic and the message of the Quran cannot be separated and translators throughout the ages have tried to convey to the non-Arabic speaking people the beauty of the meaning of the Quran but have always called it The translation of the meaning of the Quran, emphasising the fact that the Qurans direct translation is not possible, because so much of the potency and splendour of the words and their meanings which are inextricably linked to the Arabic language are lost in English or any other language. Indeed, to even appreciate the poetic beauty of the Quran one needs to have an understanding of Arabic. Languages usually evolve. Just look at the difference between Shakespearean English and modern day English. In many ways, they seem like two totally different languages and a man from England in Shakespearean times and a man from modern day England would find it extremely difficult to communicate! But the Arabic language is not just a language. This is why the Sahabah and the early generations of Muslims strove to preserve the classical Arabic language. It was Ali (radi Allahu anhu) who noticed on the tongues of some of the Arabs a slight change in dialect and ordered for the grammar rules of Arabic to be recorded in a universal form. He knew that the preservation of the Arabic language was part of the preservation of Islam itself. Arabic unified the Muslim countries as it spread to every land that embraced Islam. This is why it is seen that those Muslim societies that are ignorant of Arabic are in general less knowledgeable about Islam. This ignorance has in turn made them more prone to stray from the straight path. We will never be able to overpower the Algerians as long as they read the Quran and speak Arabic. Therefore, we must remove the Arabic Quran from their midst and abolish the Arabic language from their tongues. And unfortunately, this is exactly what the secular leader of Turkey, Kamal Ataturk, who abolished the Islamic caliphate, did. He ordered that the Quran be recited in Turkish, even in prayers and changed the Turkish language which used to be written in Arabic into a Latin alphabet. Teach Arabic like you teach the memorisation of the Quran! That I recite and forget (a portion of the Quran) is more beloved to me than to make a grammatical mistake! He admonished them and they responded that they were only beginners, but in answering back they made a grammatical mistake in their wording. He told them, indeed, your mistakes in Arabic grammar are more difficult to bear than your mistakes in archery! “Therefore it is imperative that every Muslim should strive to learn Arabic as hard as he can, so that he can testify the shahada, and recite the Book of Allah and say the invocations that are mandatory upon him, such as the takbeer, tasbeeh, tashahud and other prayers. And the more he learns the language that Allah Himself chose to be the language of him who sealed the Prophets (sallAllahu alaihi wa sallam), and to be the language of His final revelation, the better it is for him! The Arabic language is part of the Religion, and knowing it is an obligation. Unfortunately, we have become comfortable with simply relying on translations and spending all of our time and efforts in studying other things, (other languages even!) which may not even benefit us in the hereafter and have forgotten that the Quran is in a very approachable language and we all have the ability or rather the responsibility to study and understand it. If you knew that Allah (subhaanahu wa taaala) had a message for you, personally, then would you not want to understand it in its original form? Think about it we have the last revelation to mankind, the only communication from our Lord and Master, which is preserved in its original form, and yet in a 70-odd year life we do not give it the attention, which it deserves. We should realise that Allah has honoured us with the Quran and chosen for us the noblest of languages. Attention to Arabic is attention to the Book of Allah so we should make learning it a priority. I remember the feeling of tasting the sweetness of Allah’s words in my Salaah when I first embarked upon my Arabic studies. I just repeated the same aayah of the Quran again and again savouring the words and suddenly feeling a deep emotion that I’d never felt before though I had read the same aayah many times before studying Arabic, it was as though a light had been lit for me and I’d suddenly discovered a new part of a house that I’d been living in for years. One of the definite benefits of learning Arabic is that it aids Khushoo or consciousness in salaah and helps us to improve all of our worships. Taraweeh prayer in Ramadan becomes a new experience! Alhamdulillah with all the teaching aids and easy access to information that we have, learning Arabic does not necessarily mean travelling on arduous journeys to distant lands as it once used to. With discipline and commitment, the student can study much in his own time. 1. Make Dua: As with everything we work towards, we should ask Allah to help us and make learning easy for us. We should ask Allah to purify our intentions so that we truly learn Arabic for the better understanding of the Quran and deen. 2. Discipline yourself! Put a set amount of time aside every day or twice a week for your Arabic studies and stick to it. Remember a little study regularly is better than hours of study once a month. 3. Know your basics well: going step by step is the best way to master any language, concentrating on improving your basic reading and writing is the first step in learning Arabic, even if it is repetitive. Then you can build on that firm foundation. 4. Invest in a good dictionary and Arabic books: A good dictionary is the Hans Wehr or Al-Mawrid dictionary, available in most Muslim bookshops and on the Internet too! Arabic words are usually arranged under their three letter roots. Get used to looking up words often and compile your own personal vocabulary dictionary. Some good three-book sets you can start working through are the three Madinah university books or the Kitaab-ul Asaasi books. 5. Enrol into a summer course: There are a few around every summer and they are a great way to kick-start your learning. They can be quite intensive so remember to revise and keep up your study afterwards. 6. Study Arabic as part of your full-time degree: If you are going to study a degree, why not study a degree in Arabic or one with Arabic as part of it? 7. Study under an Arab friend or tutor: The importance of a good teacher cannot be stressed enough. Although there is a lot of self-study involved, a friend who knows Arabic or an Arab brother or sister who you could go to regularly for guidance would be very valuable. You could even start going through your Arabic books with them. 8. Organise a class locally: There must be like-minded Muslims in your area who would like to study Arabic too. Maybe you could get together and pay for a teacher to teach you Arabic together at the local Masjid or in one of your homes. Studying with friends is a good way to stay motivated. 9. Study abroad in an Arab country: there are various good courses running in countries such as Egypt which really speed up your learning and can provide you with a nice experience. People have found that a few months in an Arab country can be more beneficial than a year or more of studying at home. Make sure you keep up your studying when you get back though! 10. Expose yourself to as much Arabic as you can: You can listen to Arabic lecture tapes, visit Muslim countries, read some Arabic every day, and maybe get an Arab newspaper when you become more proficient. 11. Speak Arabic whenever you can: One of the biggest obstacles to speaking Arabic is being shy about making mistakes in speech and so not speaking at all. You must overcome this shyness and use whatever you know whenever you can. This is how you will eventually improve insha Allah. Maybe you could meet some Arab brothers or sisters who only speak Arabic. This way you’ll be forced to speak what you know and they’ll be pleased that you’re making the effort. 12. Relate your knowledge back to the Quran and other worships: Don’t forget that your aim is to understand what you recite of the Quran, especially in your salaah and other adhkaar. Try to recognise Arabic words as you come across them in the Quran and apply your knowledge in understanding the Quran. Ponder over and pay attention to the words in your salaah. May Allah help us all to master the language of the Quran and to aid its spread throughout the Ummah. Previous articleHow does the Heart fast? Actually Arabic is an adjective not a name of the language. It means Perfect. The opposite of Ajami which means imperfect. 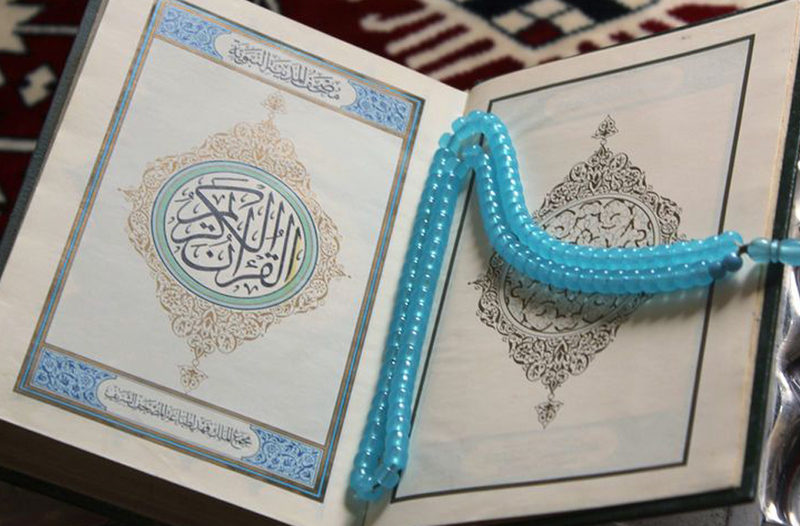 God Himself describe not only the Quran as Arabic but Commandments within the Quran as Perfect or Hukmen Arabiyen. Furthermore, Arabs are influenced by current andjahilya corrupted language are quick to jump to wrong meanings. I am Arab and I know. The Quran is written in a universal language which is the language of Adam and all Prophets after him until Paradise. Please see my QuranCode.com software and use Ctrl+Click any Quran word to display all verses with words from its root. This way you can review how God AlKnowing uses the word in context and thus learn the real meaning of the word rather than relying on dictionary or Arab friends.